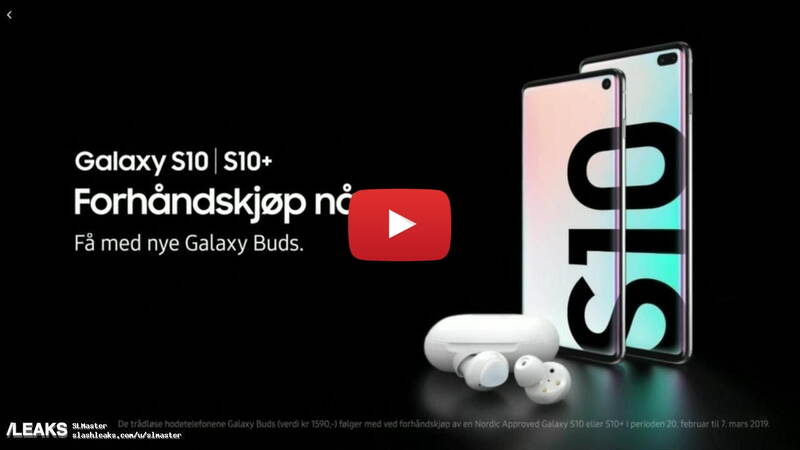 An official ad for the Samsung Galaxy S10 has aired on TV ahead of its expected unveiling tomorrow. Verge reader Endre Loeset spotted the ad on TV 2, a television broadcaster in Norway. You’ll need to brush up on your Norwegian skills to fully understand it, but it clearly confirms the Galaxy S10’s hole punch display, ultrasonic fingerprint reader, triple-camera system at the rear, and reverse wireless charging. Even Samsung’s Galaxy Buds make a brief appearance, revealing that you can wirelessly charge them by placing them on the rear of Samsung’s Galaxy S10. Samsung has been pulling off the ad off YouTube but we've attached a couple videos with replaced audio below.